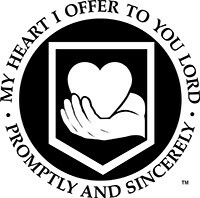 John Calvin’s piety is beautifully reflected in his affectionate prayer: “My heart I offer to you, O LORD, promptly and sincerely.” For Calvin, piety was an essential part of the true Christian life. He defined piety as the essence of true godliness. Calvin warmly asserted that “True piety exists when men recognize that they owe everything to God, that they are nourished by His fatherly care, that He is the Author of their every good.” Piety, then, is “reverence joined with love of God which the knowledge of His benefits induces”. Because God is a good and kind Heavenly Father in Christ, piety is faith in action, being lived out, or faith obediently working through love (cf. Gal. 5:6). In fact, all true knowledge of God in Jesus Christ will lead to true piety and godly practice. Joel Beeke writes that for Calvin, theological understanding and practical piety, truth and usefulness, were inseparable. Consequentially, where there is no true piety, there is no true knowledge of God. The true knowledge of God, wrote Calvin, “should serve first to teach us fear and reverence” of God and this fear will be manifested in godly living. As one Calvinian scholar wrote, “Piety is the context for all of Calvin’s theology.” Calvin’s remarkable Institutes of the Christian Religion is not strictly a “Summa theologia” or “summary of theology” (as with the theological writings of Thomas Aquinas), but more precisely a “Summa Pietatis” or “summary of piety”. In fact, the subtitle of the first edition of the Institutes in 1536 stated, “Embracing almost the whole sum of piety & whatever is necessary to know of the doctrine of salvation: A work most worthy to be read by all persons zealous for piety” [my emphasis]. True piety consists in a sincere feeling which loves God as Father as much as it fears and reverences Him as Lord, embraces His righteousness, and dreads offending Him worse than death. We learn theology ultimately so that we will possess piety, or devoted living unto God. Knowledge of God, or the study of theology, is for the goal of glorifying God through piety; to rightly live for Him, think about Him, worship Him, and serve Him. Because Calvin was a reforming catholic, it should be noted that Calvin’s spirituality or piety was not completely new, but consistent to some degree to earlier devotional writers of the Medieval period. We see in John Calvin a piety or spirituality that is particularly Reformed and catholic, and consistent with much good spiritual teaching that came before him, particularly in Bernard of Clairvaux (d. 1153) and Thomas a Kempis (d. 1471). Calvin stood in a stream that flowed broad and deep from faithful servants of the Middle Ages. Though there are continuities in Calvin’s theology and piety with his Medieval fathers, there are significant differences and emphases as well. In contrast to Medieval spirituality or piety, especially as it has been handed down to us in Thomas a Kempis’ devotional classic The Imitation of Christ, Calvin’s focus in his theology and piety was on the Person and Work of Christ primarily, and the believer’s union with Him. For Calvin, his priority was focused more on Christ as the Mediator, and substitutionary, atoning sacrifice for sinners, then secondarily upon Christ’s example for Christians follow and to learn piety. As de Reuver wrote helpfully that for Thomas and other Medieval spiritual teachers: “…The soteriological dimension of Christ’s saving work was overshadowed by its exemplary features…” To put it as clearly as possible, for Calvin all true knowledge of God and true piety flowed forth from the Person and Work of Christ, and because of the believer’s union with Him by the Spirit. Jesus Christ is the believer’s example, but first and foremost He is the believer’s Savior and Lord. Furthermore, other differences in emphases should be noted. The teaching on union with Christ was emphasized in Medieval teachers such as Thomas a Kempis, but not as clearly and focused as with Calvin. For Calvin, this union with Christ by His Spirit brought about both justification and sanctification in the believer, both a declaration of a righteous standing and a growing in that righteousness (a unique, once for all imputation of righteousness in justification and an ongoing impartation of righteousness in sanctification). For Thomas, the believer’s sanctification was given the priority over her justification. In fact, justification was completely subsumed under sanctification and not made as distinct from it, bringing theological confusion to many. Calvin has been rightly called the “Theologian of the Holy Spirit” because he stressed the Spirit-wrought faith that God must give to believers to take hold of Christ as Savior and Mediator, over Thomas’ and other Medieval teachers’ stress merely on love (that they basically believed all men were capable of if they tried hard enough). For Calvin, the knowledge of God and true piety was only possible because of God’s initiating and powerful grace revealed to believers in their regeneration. The power of the Spirit was an ongoing need for every believer as He illuminated the Word of God, helped believers to understand theology, and live out godly lives of piety. Though justification and sanctification were distinct, they were never to be confused or separated. Without this distinction, true piety was impossible. To stress sanctification apart from justification as the foundation, was to fall into legalism; to stress justification apart from sanctification was to fall into antinomianism. Neither legalism or antinomianism could produce the true life of piety that brought glory to God and peace to the believer.Calvin’s piety can be called a “common folk’s piety”. This was godly living that all could enjoy no matter their calling or season of life. Whereas the Medieval Roman Catholic teachers were primarily teaching how to live the monastic life in separation and oftentimes in complete hatred of the world, Calvin taught that we serve the Lord and fulfill our call to pious lives in the world, in living out our piety or godliness in our families, congregations and workplaces. For Calvin, piety was an “everyman’s pursuit” not just a pursuit of a select and spiritual elite who would turn away from the world or particularly marriage to enter the monastery. Hesselink writes that Calvinist piety “embraces all the day-by-day concerns of life, in family and neighborhood, education and culture, business and politics.” These differences should be noted between Calvin and the Medieval teachers while appreciating the catholic unity and work of the Holy Spirit throughout church history. As Christians in the 21st century, let us keep in mind that the Reformation was not only a theological or doctrinal reformation, but also, very importantly, a reformation of piety and spirituality. Let us be reformed and always reforming in our doctrine as well as in our lives (semper reformanda!). As we seek to understand the wonderful truths of the Reformation, let us also embrace their aspirations and pantings after true piety. For, as Calvin would say, if you have true theology, you will possess true piety by God’s grace through His Spirit, all for the glory of God. As believers at KCPC, then, let us seek a true piety that is biblical, theologically sound, empowered by the Holy Spirit, and possessed by us through our union with Christ as our piety increasingly adorns the Gospel, and is displayed for all the world to see, all to the glory of God! This is an excerpt from Fear of the LORD in Union with Christ: Spiritual Root and Fruit- The Fear of the LORD in the Writings of John Calvin (1509-1564) and Richard Sibbes (1577-1635), Charles R. Biggs (2016). Unpublished paper submitted for partial completion of Th.M. degree at Puritan Reformed Theological Seminary, Grand Rapids, MI. There have been two terms used in the history of the Christian church to describe an earnest desire after God: devotion and pietas. Devotio signified a total dedication and devotion to God in worship and service. This was a fundamental attitude of the creature before his Creator. Devotio in the medieval period ultimately meant to leave the world for the monastic life. In distinction, the term pietas, or piety described godliness, devoutness, religiousness. Humility was the foundation of true pietas. The term used by Calvin was pietas because of the monastic associations of the other term devotio, though the person who possesses true pietas, would also possess devotio but just not in the monastic context for Calvin. See Lucien Joseph Richard, The Spirituality of John Calvin (Atlanta, Ga: John Knox Press, 1974), 78-88, 93. John Calvin, Institutes of the Christian Religion, 1.2.1, Kindle Edition. Joel Beeke, The Soul of Life: The Piety of John Calvin (Grand Rapids, MI: Reformation Heritage Books), 2013, pgs. 28-52. Elsie Annie McKee, ed. John Calvin: Writings on Pastoral Piety (New York: Paulist Press, 2001), Kindle Edition, 2016, Location 979. Dennis E. Tamburello, Union with Christ: John Calvin and the Mysticism of St. Bernard (Louisville, KY: Westminster John Knox Press, 1994), 102. Hesselink noted that “It could be said that pietas was [Calvin’s] entire theological direction and goal, rather than merely one theme in his theology.” Quoted in I. John Hesselink, Calvin’s First Catechism: A Commentary (Louisville, KY: Westminster/John Knox, 2997), 45. The Institutes are not a summary of theology, like merely doctrinal or systematic theology, but a summary of piety, or what it means to live the spiritual life with God. Calvin, Institutes of the Christian Religion, 1536 Edition (Edinburgh: Banner of Truth Trust), 2008. See Calvin’s fuller exposition of Titus 2:11-14 in his Institutes, 3.6-8. I. J. Hesselink, Calvin’s First Catechism: A Commentary, (Louisville, KY: Westminster/John Knox), 46-47. It is interesting to note that even earlier than this summary, Calvin wrote in 1536: “True godliness [consists]…of a pure and true zeal which loves God as a real Father and looks up to him as a real Lord; it embraces his righteousness and detests offending him more than it does dying.” From Truth for All Time: A Brief Outline of the Christian Faith (Edinburgh: Banner of Truth Trust, 2008), 4. This shows that for Calvin early in his Christian life and theology, the fear of the Lord was understood to be a glorious combination of zeal for God, and a looking up humbly in submission to him as Lord. Arie de Riveur, Sweet Communion: Trajectories of Spirituality from the Middle Ages through the Further Reformation (Grand Rapids, MI: Baker Academic, 2007), 102. Dennis E. Tamburello, Union with Christ: John Calvin and the Mysticism of St. Bernard (Louisville, KY: Westminster John Knox Press, 1994), 108. Lucien J. Richard, The Spirituality of John Calvin (Atlanta, GA: John Knox Press, 1974), 21. Tamburello offers some helpful comparisons and contrasts between Bernard and Calvin’s spirituality. This is helpful in seeing the great similarities in Bernard and Calvin, the influence of them upon Calvin and Sibbes, but this also highlights the significant differences: 1) For Calvin, union with Christ is not of works but all of grace; 2) Not a union of essences, but of a spiritual union, not a union of equals (Creator-creature distinction is present in Calvin); 3) A union of wills; 4) We are to seek to love God unselfishly for His glory; there is to be reverence joined with love of God; 5) Authentic love manifests itself in a love of neighbor; 6) True knowledge of God is experiential; 7) Union with God is specifically union with Christ the Mediator; 8) Church is indispensable context for union (with some differences); 9) Sanctification is a life-long work; 10) The spiritual marriage imagery for spiritual intimacy with Christ is useful. Differences particularly between Bernard and Calvin: 1) Bernard more interested in contemplative life, whereas Calvin’s teaching is for every person; 2) Calvin has a disdain for the monastic life and to be withdrawn from one’s vocation in the world; 3) Bernard’s thoughts on union pivots on love, Calvin’s focus is more on faith; 4) Calvin emphasizes the ordinary means of grace more than Bernard; 5) Bernard subsumes sanctification under justification, Calvin distinguishes justification and sanctification without separation or confusion. Union with Christ: John Calvin and the Mysticism of St. Bernard (Louisville, KY: Westminster John Knox Press, 1994), 105-108.
 de Reuver, Sweet Communion, 148. Hesselink, Calvin’s First Catechism, 47.